Wonder Up Breast Tablets. A natural supplement for stimulating breast growth. They contain 14 different herbs and plants. Traditionally used in many cultures around the world for beauty and breast enhancement. or a drug and is not intended to treat, mitigate, cure or prevent any disease. This product is not recommended for use during pregnancy or breastfeeding. should not be used to replace professional medical advice or treatment. The contents of this website do not form part of the product packaging. and no particular outcome or result can be promised or guarantee. 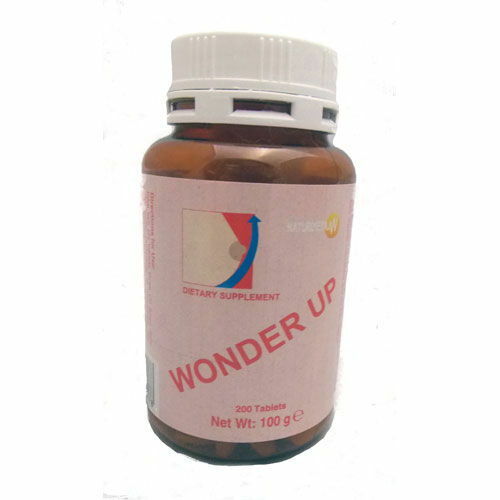 Wonder Up Breast Tablets, natural herbal way to encourage breast growth. They contain 14 different herbs and plants.